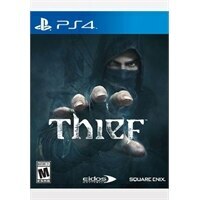 THIEF 4 - PC Gaming - Electronic Software DownloadGarrett, the Master Thief, steps from the shadows into the City. With the Barons Watch spreading a rising tide of fear and oppression, a mysterious sickness grips the streets. Led by Orion, the voice of the people, the citizens rise in bloody revolution.